Barcelona have emerged as rumoured suitors for Chelsea teenager Callum Hudson-Odoi following his impressive displays over the past week. The England international became the second-youngest player to start a competitive match for the national team on Monday when playing a major part in 5-1 win over Montenegro. 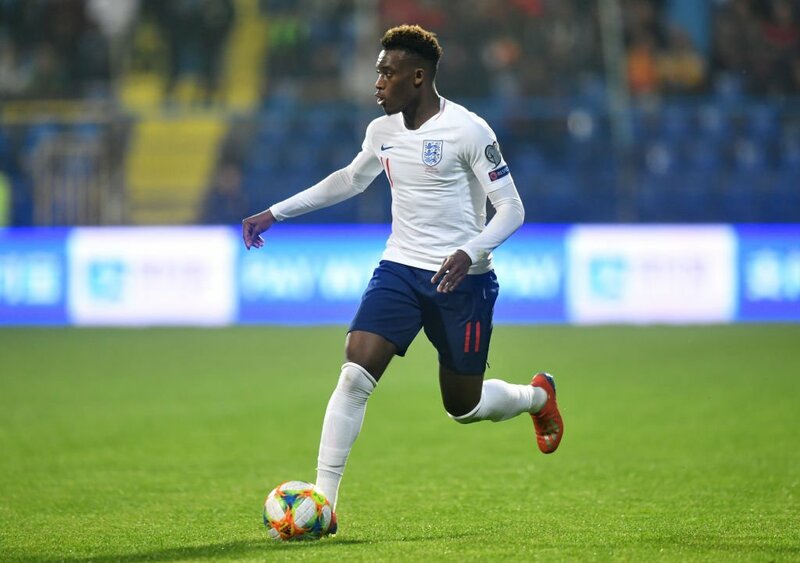 The 18-year-old forward also impressed on his debut against Czech Republic last week, however, he has been limited under Maurizio Sarri, failing to start a single Premier League game for the Blues. Despite that, Bayern Munich have made three bids for the youngster, the most recent of £35m, while Borussia Dortmund and Manchester United have been tipped to make a move for the forward. According to The Mirror, meanwhile, Barcelona will look to take advantage of the player’s situation at the Stamford Bridge by making an official approach this summer. However, the west London outfit are said to be determined to keep Hudson-Odoi and they could offer him a couple of games to convince him to snub the likes of Bayern and Barca.